Well dressed and looked after, Wilmet, the novel's heroine, is married to Rodney, a handsome army major, who works nine thirty to six at the Ministry. Wilmet's interest wanders to the nearby Anglo-Catholic church, where at last she can neglect her comfortable household in the company of a cast of characters, including three priests. Set in 1950s London, this witty novel is told through the narration of the shallow and self-absorbed protagonist who, despite her flaws, begins to learn something about love and about herself. 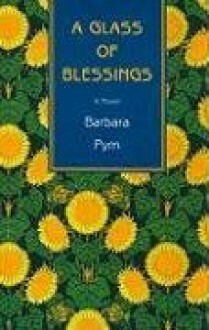 Through Wilmet's superficial monologues readers are exposed to Barbara Pym's clever commentary on class, the church, and her engaging characterizations. Readers will become captivated, as is Wilmet, with the lives and personalities of characters such as the kleptomaniac Wilf Bason, the priests Keith, and Piers Longridge. She fancies herself in love with Piers, the brother of a close friend, and imagines he is her secret admirer (the admirer is in fact her friend's husband). Wilmet fails to realise that Piers is gay until she becomes aware of his relationship with Keith, a young man she regards as rather common.